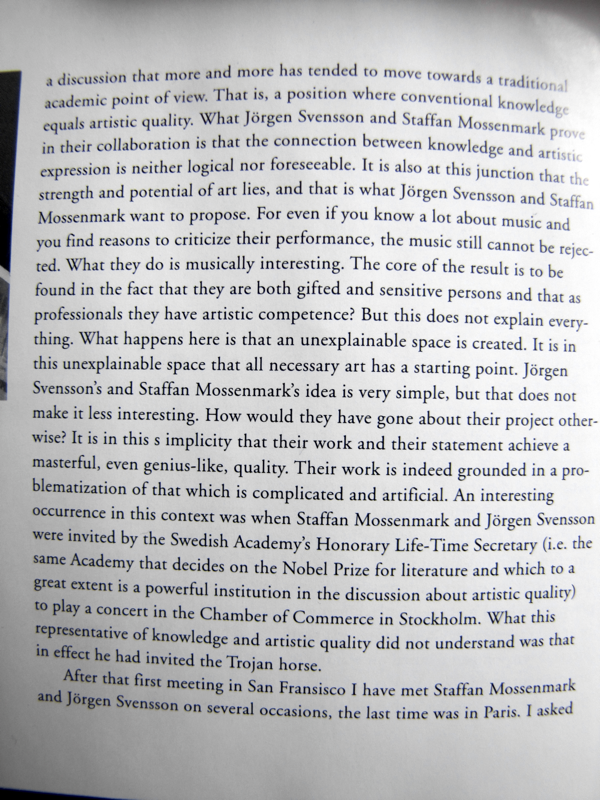 Artist Jörgen Svensson and Mossenmarks meet as pianists was a study of that grey zone, that area between knowledge and ignorance in a specific area. 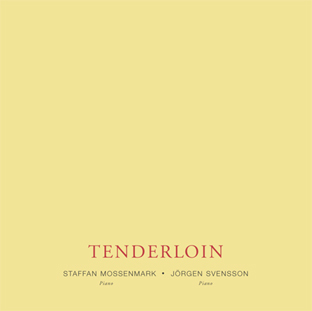 Svensson and Mossenmark choose music and to play piano together. 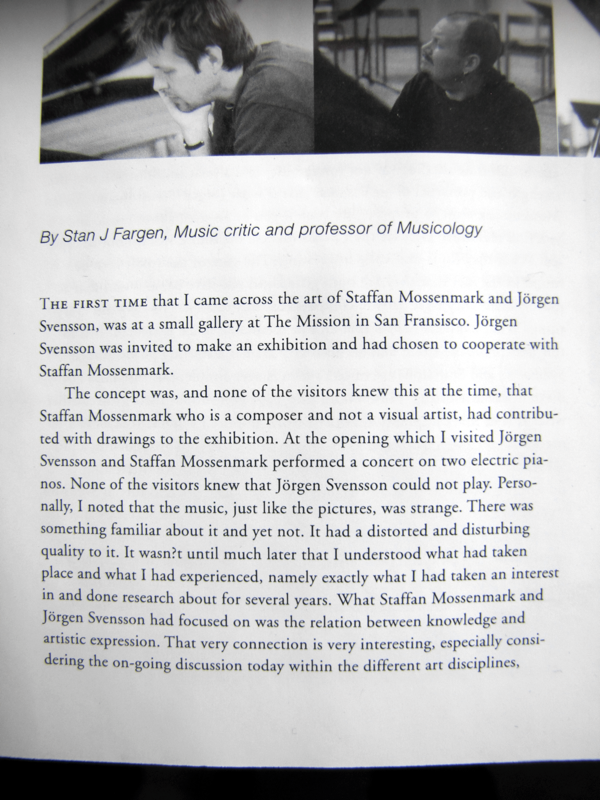 Mossenmark is an educated pianist, Svensson can not play any piano at all. This is where you can see interesting qualities. Mossenmark who has been educated in a classic tradition to whats called refinement and good technique. This development has caused the primary to disappear and be replaced with precision and awareness in differnt forms. 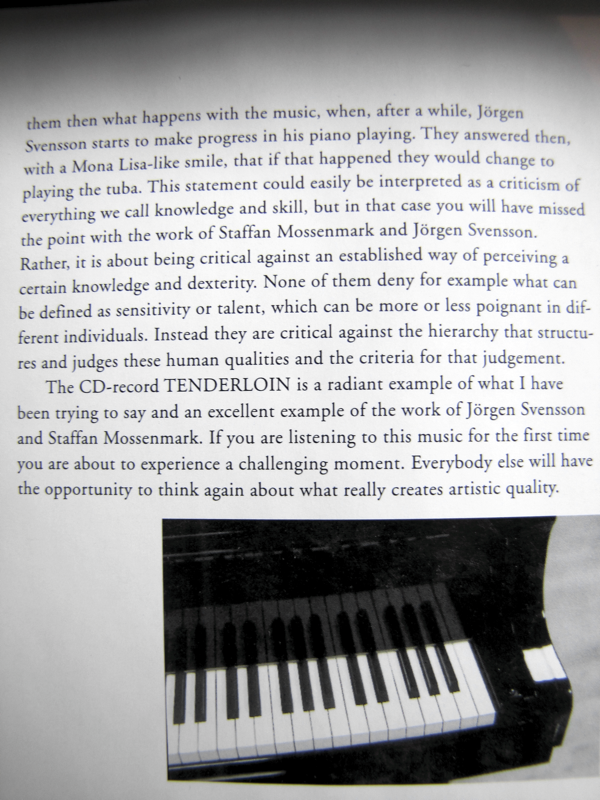 Svenssons pianism contained a more unpredictable harmony, a flawed touch (from a traditional point of view) that here becomes qualities just as great as those Mossenmark has been educated to.